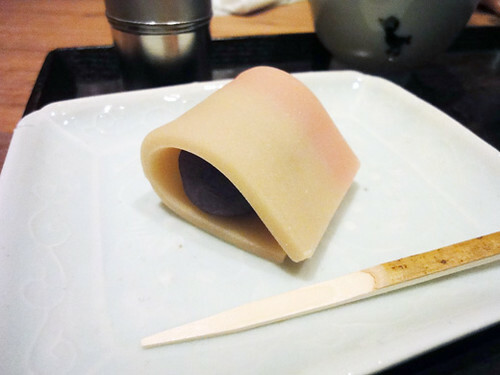 The “Fukayoshino” was made of arrowroots that covered Sakura (cherry blossoms) been paste inside. The arrowroots makes usually very smooth like silky surface, and the Sakura been past of the pink color had a very delicate Sakura flavor. 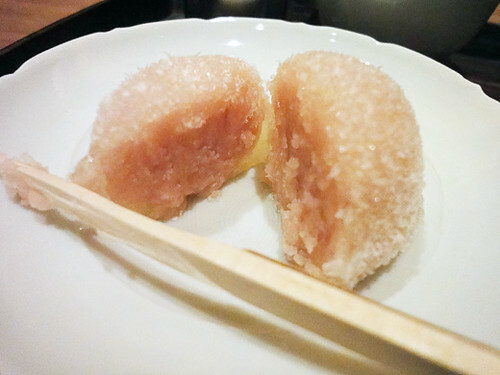 “Hanakosuge” was a seasonal fresh confection. The Neririki that had the beautiful color gradations from pink to white was made of a blend of white been paste, granulated sugar, liquid sweetener and gyuhi covered smooth been paste. 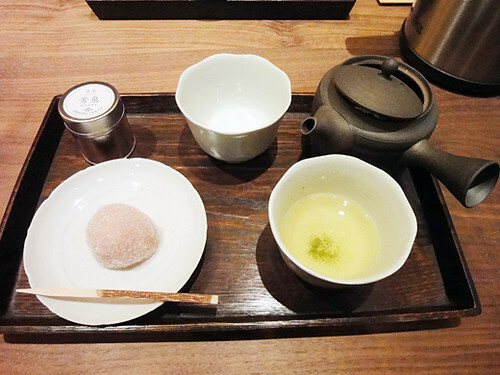 We had very a relaxed time with the good Japanese tea, and enjoyed a sense of the Spring season with the artistic Japanese confections. I’ve never had anything of that before but it looks so delicious! These sweets don’t look real, because they are so perfect!